We’re excited to announce the latest addition to 15Five, the Best-Self Review! This revolutionary process is our answer to the traditional annual employee performance review, which is often biased and counterproductive. Guided by research on positive psychology and the growth mindset, we’ve created the Best-Self Review as a performance management solution to maximize the growth and development of your people. Due to the often sensitive nature of performance evaluations, a specific review administrator will need to be assigned. The review admin(s) will have full control over the review cycle creation, question templates and visibility of in-progress and completed answers. We’ve created a recommended question template for anyone to use right out of the box. Our questions are guided by research from positive psychology to enable the growth mindset and include an additional set of future-focused questions inspired by Deloitte that are private to the manager assessment. 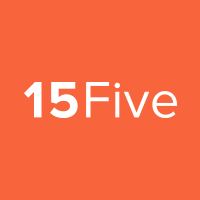 If the 15Five question template isn’t for you, that’s no problem. You can create a custom question template with a variety of question format options. One of the most time-consuming parts of the traditional performance review is answering the questions themselves. Many issues come into play such as recency bias, which is the tendency to evaluate someone based on their most recent performance instead of the entire review period, and difficulty objectively assessing team member performance. We’ve provided a handy Resources section within our performance management software that you can reference when completing your Self or Manager Reviews, which collects qualitative and quantitative highlights from the past quarter. This includes relevant answers from your regular check-ins, High Fives, Objectives, Wins/Challenges and more. Both during and after an employee review cycle has been completed, review admins can track the progress of the whole company at any point. Managers can do the same with any team members that report to them in 15Five. If you notice any individuals who are past due, you can send a gentle nudge to prompt them to complete either their Self or Manager Reviews. Review admins can also export answers as a CSV at any point for further analysis. Read more about how to configure Best-Self Reviews for your team. Look out in early 2018 for the Best-Self Review to also include 360 Reviews and Upward Feedback! Get in touch to be part of the Beta testing.